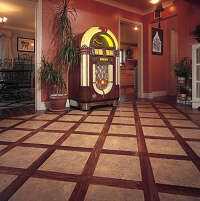 Usually, it is quite difficult to choose floor covering for your home or office. It should match your walls, furniture, , curtains, interior and most importantly, your style. Floor covering come in many different categories. There are economical options like tiles or laminate. On the other hand, there are expensive ones like hardwood and marble. Installing hardwood or marble may be costly, but they last a lifetime and therefore, they are usually popular among the masses. In this article, we will tell you about different types of floor coverings. All these are available online from many different floor covering services at affordable rates. You can choose any one according to your preferences and style. 1) Carpet - Carpets are inexpensive and usually popular in cold climates. Carpets come in many different qualities depending on your budget. They insulate against cold and sound. Moreover, installation of carpets takes less time than other flooring options. However, carpets are usually vulnerable to stain and therefore, they have to be regularly cleaned. Moreover, you may even have to replace them after some time. 2) Laminate - Laminate flooring is also known as Vinyl flooring. It is usually installed in bathrooms and kitchen as it is an inexpensive alternative to marble and hardwood. Laminate is very durable and does not damage easily. Moreover, it is also easy to clean and stain resistant. 3) Wood - Wood flooring is available in a very wide range depending on your budget. You can buy softwood or hardwood flooring for you home according to your style, preference and budget. Bamboo, ash, oak, walnut are some of the most common wooden flooring options. Wooden flooring is usually very expensive. However, it lasts a lifetime and it is very easy to clean. Wooden flooring also looks very classy and elegant. 4) Tile - Tiles are also mostly used in bathrooms and kitchens. Tiles come in various different materials including ceramic, porcelain, terracotta etc. They are also available in many different designs and styles. Installation of tiles is easy and inexpensive as compared to other types of flooring. Moreover, tiles can also be cleaned easily and do not require much maintenance. 5) Concrete - THis floor covering is usually chosen by people who want to have an edge and look for an industrial look. Concrete is strong and lasts very long. Moreover, it can be cut into various different designs and styles. Concrete is very cost effective, but not appropriate for areas that require a lot of walking or standing. Moreover, concrete also needs to be covered to protect it from any stains. 6) Marble - Most of the floor covering services suggest that marble is the most popular and best choice. Marble is non porous so you do not have to cover it with anything. Moreover, marble comes in many different designs, colors and patterns. Being non porous, it is also resistance to scratches, bacteria and moisture. Marble is also very easy to clean. This type of floor covering may be very expensive, but it will last a lot of years. Another kind of flooring is industrial vinyl flooring, which is becoming very popular these days. They are not only durable but worth reliable as well.